It's time once again to "think summer" and plan for the CLHSA's 33rd Annual Golf Classic! The Annual Report for the CLHSA's 2017-2018 fiscal year is now available for download. If you prefer to receive a hard copy, please notify us and we'll be happy to mail one to you. 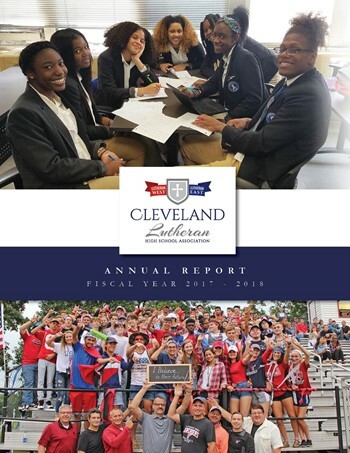 Welcome to the website of the Cleveland Lutheran High School Association (CLHSA). We have been working to create a site that will help you understand our mission and find ways to support the students that rely on us for their secondary educations. You will eventually be able to support us financially, book attendance at one of our events, and connect with the Lutheran East and Lutheran West sites. The 2018-19 school year is off to an exciting start. 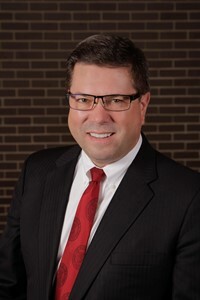 Lutheran West welcomed alumnus Mike Waugh '02 as its next principal following Principal Wolfgram's retirement. Enrollment is strong at both Lutheran East and Lutheran West. The CLHSA will be celebrating its 70th anniversary with a special brunch in December. Thank you for your interest and support. God's blessings on your day. The Triumph Fund is a very important level of giving that supports tuition assistance for both Lutheran East and Lutheran West. Members of the Triumph Fund make an annual gift in the amount of $500, some choosing a monthly gift of $42. This base level of giving defines our annual effort to close the gap between the cost of education and the sources of funds that our students and their families have available.